A variety of reasons can exist for an actor to not be alive by the time their movie is released. Some actors are old and die from natural causes (like Spencer Tracy, who died 17 days after the end of filming Guess Who’s Coming to Dinner? (1967)). Others might be involved in accidents either on the set (like Brandon Lee in The Crow (1994)) or in the course of living their life (like Anton Yelchin from the Star Trek reboot). The entertainment community mourns the lives taken so early on in their careers, but many actors have died via suicide due to either their approach to acting or the pressure of acting influencing their decisions. Sometimes a mental illness that gives an actor their creativity can also drive them into a suicide as well. This week’s two films highlight some actors who died before their films were released. At the age of 24, James Dean was a star to be reckoned with. In four short years, he appeared in a handful of uncredited roles, but he also earned two back-to-back nominations for Best Actor in 1955 for East of Eden and in 1956 for Giant. The trick with his nomination for Giant was that he had been killed in a car accident late in 1955, thus making this nomination the first of its kind to be given posthumously. Not only did Dean die before the release of Giant, but he also died before the release of his most iconic role in Rebel Without a Cause (1955). One can only speculate the amount of prestige such an actor would have accrued over a lifetime of acting. Even with only three credited movies to his name, the American Film Institute still placed him at #18 on their list of 50 top actors of the last century. Jett Rink (James Dean) is a farmhand who works for Bick Benedict (Rock Hudson) on his Texas ranch. When Bick brings home a lovely wife in Leslie Lynnton (Elizabeth Taylor), Jett is immediately stricken with her. He helps show her the ropes of the property, thus inspiring her to change some of the living conditions for the migrant workers. After the accidental death of Bick’s sister, who also ran the household and had a spat with Leslie, Jett is bequeathed a small portion of the property. After Jett finds oil on his land, he manages to become wealthier than the Benedicts. Jett, still enamored with Leslie, eventually starts dating her daughter, which further sours the relationship between him and Bick. After realizing his children will not follow in his footsteps, Bick finally allows Jett to drill for oil on the remainder of the Benedict property. Some actors die before their movies finish filming, leaving a noticeable gap in their performance. Actors like Philip Seymour Hoffman are noticeably absent from certain scenes in movies like The Hunger Games: Mockingjay – Part 2 (2015). Some actors have their performances digitally completed and adjusted using CGI, or even sometimes completely created decades after their death (as was the case with Peter Cushing in Rogue One (2016)). While Heath Ledger had completed filming on The Dark Knight (2008), none of his scenes were altered after the fact by director Christopher Nolan. Ledger died from an accidental overdose of prescription drugs, but some feel his “method acting” approach helped push him over the edge via his role as The Joker. He is only one of two people who has posthumously won a Best Actor Oscar, the other being Peter Finch of Network (1976) fame. After Batman (Christian Bale) has raised the stakes for Gotham’s crime-fighting, a new force has appeared to oppose him with a gospel of violence and chaos: the Joker (Heath Ledger). As Batman tries to rid the city of crime via his vigilante actions, Harvey Dent (Aaron Eckhart) tries to do so within the confines of the law. The Joker, having taken control of the majority of Gotham’s gangs, continues to escalate the situation to get Batman to reveal his true identity. Eventually, Batman finds himself in a corner as the Joker makes him decide between the lawful justice of District Attorney Harvey Dent, or Batman’s girlfriend, Rachel (Maggie Gyllenhaal). On top of this life-or-death decision, the Joker pits a ferry full of tourists against a boat full of terrorists in a game of “who will die first?” Batman, finally able to catch the Joker via a clever use of technology, must now retreat to the shadows. One of the most defining television series of all time, Star Trek revolutionized science fiction on the small screen. While the original series has spawned several follow-on series, very few of them have been able to capitalize on the popularity of the crew like the group that appeared in the late 1960s. In fact, aside from a handful of films based on Star Trek: The Next Generation, practically all of Star Trek’s 13 movies are based on the original crew. After a film reboot (and two sequels) that angered many “Trekkies” due to its blasé attitude toward the source material canon, time will tell if the newfound popularity of Star Trek amongst non-Trekkies will carry on through the new television series that began this year. Still, Star Trek’s presence on the big screen is notable. This week’s two films highlight some of the gems of the Star Trek films. While today’s Hollywood will jump at an opportunity to adapt a television show into a major motion picture, this wasn’t always the case. One of the unique elements of the Star Trek films is the fact that the original cast from the TV show reprised their roles on the big screen. This was even though the show ended 10 years before the first film in the series. Appearing three years after its original, The Wrath of Khan proves to be a much better film due to a much-needed antagonist, which was missing from the first movie. In Star Trek: The Motion Picture (1979), most of the movie is spent watching the USS Enterprise panning across far-out space scenes and the reactions of the crew as they sit there and wait to find an abandoned satellite that was sending out menacing signals. A similar plot to Star Trek II: The Wrath of Khan (1982) was used for the reboot sequel, Star Trek: Into Darkness (2013). 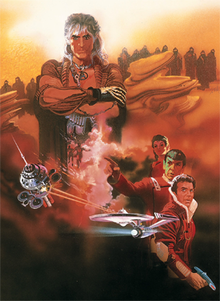 What started as an episode entitled “Space Seed” 15 years prior, The Wrath of Khan sees the exiled villain, Khan Noonien Singh (Ricardo Montalbán), enacting his revenge on now-Admiral James T. Kirk (William Shatner). Khan infiltrates Starfleet via some mind-control creatures and is able to commandeer the USS Reliant, which he uses to attack the space station, Regula I. In doing so, he hopes to gain control of the “Genesis Device,” which he plans to use for his own, nefarious purposes. Receiving a distress signal from Regula I, the Enterprise comes to the rescue but falls into the Reliant’s ambush. While Kirk excels in space battles and cripples the Reliant, the Enterprise has been severely damaged and cannot escape. With Captain Spock’s (Leonard Nimoy) sacrifice, the Enterprise is restored and able to get away. It has been noted that, of the many Star Trek films, the “even” ones are the best. Perhaps the reason for this is because the second and fourth films are the bookends of the first “trilogy” in the Star Trek film franchise. 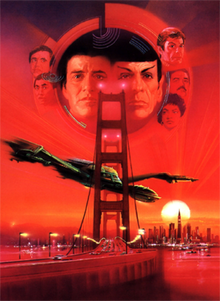 After The Wrath of Khan, its direct sequel, Star Trek III: The Search for Spock (1984), carried on the storyline that reunited the crew after the tragic loss of one of its key members. What is also notable about the third and fourth films is that they were directed by none other than Leonard Nimoy (who portrays Spock in the television series and films). Perhaps it is this close tie to the source material that helped make Star Trek IV: The Voyage Home (1986) an entertaining film. In fact, of all the Star Trek films, The Voyage Home is perhaps the most comedic, as it shows the contrast between our world and the world of the future. On their way back to Earth to face punishment for destroying the USS Enterprise, the crew of the former starship receives a distress signal from Starfleet warning them to not come to Earth because an unknown probe has been wreaking havoc nearby. The now-resurrected Spock (Leonard Nimoy) recognizes the sound of the probe as the call of the now-extinct humpback whale. Using their commandeered Klingon ship, the crew slingshots around the sun to travel back in time to 1984. Landing in San Francisco, the members of the crew break into smaller groups to repair the ship, obtain some humpback whales, and outfit the vessel to carry them to the future. Eventually, each group succeeds but not without a few comedic, cultural shocks along the way. Repeating the slingshot around the sun, the crew returns to the future and saves the Earth from the probe, now that its call has been answered. How many of us have grown up dreaming of being an astronaut? So often, the appeal of floating high above the Earth’s surface, observing the universe from a unique perspective, and exploring the unknown of space are what drive many people to become the select few individuals who get to become astronauts. Unfortunately, for the rest of us who don’t qualify for NASA’s rigorous program or don’t have enough money to let Richard Branson put us in orbit, we have to resort to other means to travel through space. Of course, the primary method for moving through space is using our imagination. There are ways of heightening our imagination, either through the creativity of others or by taking hallucinogenic substances. While I don’t condone the latter, the former is a great way to explore the vastness of our existence. This week’s two films are loosely about traveling across the vast emptiness of space. Science fiction has long been the staple of imagining what space is like. Distant worlds and spacecraft to get us there fuel our ideas of “the final frontier.” Sure Star Trek would be the obvious choice for a movie about traveling through space, but what if we wanted to travel by ourselves? We wouldn’t even know where to start. That’s where The Hitchhiker’s Guide to the Galaxy (2005) comes in. Not only is it an endless source of useful information, but it also comes with the handy advice “Don’t Panic” emblazoned on its cover. If we don’t have the resources to get out to the furthest reaches of the galaxy, hitchhiking is always a viable alternative. But don’t let this lull you into thoughts that it would be easy: space is incredibly big. And since it’s so big, there’s a lot that could go wrong there. So, if you have your towel, are you ready to stick your thumb out and grab a ride? Since Earth is one of the last places in the galaxy to be explored, what are the chances you’ll be picked up if you manage to get into space? Pretty slim, but not nil. This is what Arthur Dent (Martin Freeman) and Ford Prefect (Mos Def) learn after they are kicked off a Vogon Constructor fleet after narrowly escaping the destruction of Earth. 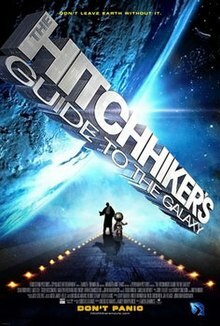 They’re picked up by the starship Heart of Gold, and join its crew of Marvin the Paranoid Android (Alan Rickman), Zaphod Beeblebrox the President of the Galaxy (Sam Rockwell), and Tricia “Trillian” McMillan, a woman Arthur knew from Earth (Zooey Deschanel). Zaphod is using the improbability drive of the starship to find the Question of Life, the Universe, and Everything to match the answer calculated by Deep Thought: 42. In their travels, they encounter many strange creatures and situations, but they learn that Arthur is the only chance they have to learn the question. Another way to travel through space is to take a trip. This, of course, refers to a “trip” in the psychedelic 1960s definition, which undoubtedly influenced many black velvet paintings of unicorns streaking across starry skies interweaved with extraterrestrial planets. While one will also note that the moon landing was in 1969, there is no question the dominant force in music at the time of the 1960s was The Beatles, especially since their career spanned the entire decade. While their earlier material was reminiscent of the musical culture of the 1950s, as the ’60s evolved, so did their style, eventually producing such trippy songs as “I am the Walrus,” “Revolution 9,” and the titular “Across the Universe.” And yet, even though this trip across the universe might be enhanced by psychedelic substances, there is still a beauty to the imagery and lyrics presented in these strange songs. 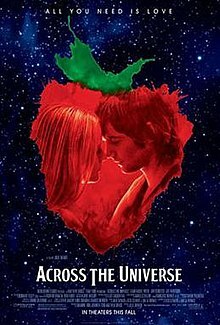 The film Across the Universe (2007) took the entire Beatles discography and mashed 30+ songs into a cohesive narrative based loosely on the events of the 1960s. Jude (Jim Sturgess) travels from Liverpool to find his father, but along the way befriends Max (Joe Anderson) who takes Jude home for Thanksgiving. This is where Jude meets Lucy (Evan Rachel Wood) and immediately falls in love with her. Jude and Max move to New York where Sadie (Dana Fuchs), Jojo (Martin Luther McCoy), and Prudence (T. V. Carpio) join the group of friends. Lucy eventually comes to visit when her boyfriend is killed in Vietnam. Now she is free to fall in love with Jude. As Max is drafted off to war, Lucy joins the anti-war movement, which causes Jude to question her fidelity. As the group splits up and goes their separate ways, a rooftop concert brings them all back together so that Jude can confess his love to Lucy one last time. Television and film are becoming less dissimilar every year. While directors who once worked on the big screen are starting to make television shows, the opposite can also be said. Sometimes the best directors can be the ones who mastered the shorter, compact format of television before jumping the gap to feature films. After all, while television series are starting to show some great strides in plot development across episodes, each episode must be an encapsulated part of the whole. One would only have to expand out the running time on a single episode to arrive at a feature-length movie. As we have seen with directors who are more famous on the small screen (like Joss Whedon and The Avengers (2012)), sometimes the two mediums are not that far apart. In fact, the television work of J. J. Abrams has evolved the landscape of the television drama, making them more movie-like than ever before. With shows like Alias and Lost in his resume, it’s no wonder Abrams does well on the big screen as well. This week’s two films show J. J. Abrams’ directing talents on the silver screen. I must be honest here. I’m more of a Star Wars kind of guy. However, when it was revealed that Star Trek would be rebooted with J. J. Abrams slated to direct, I was quite excited. Even though some people might be disappointed with some of his TV series (like the ending of Lost), I still think his artistic vision is truly what makes his stuff fun to watch. Of course, I would consider myself an Abrams fanboy, and at the very least I’ll go and see anything that has his name on it. I doubt my opinion is unbiased here. Still, I do have to admit that the amount of lens-flare (even if it is computer generated) is a bit much in his films. Fortunately, he’s getting better with it and is starting to use it in situations where it would actually be applicable. If there’s one theme that seems to crop up more often than not in J. J. Abrams’ work, it’s time travel. Star Trek is no exception. A Romulan named Nero (Eric Bana) is traveling through time trying to find a man by the name of Ambassador Spock. Unfortunately, Nero runs into a Federation ship, which is powerless to stop him and is destroyed in the process. James T. Kirk (Chris Pine) was on that ship, which was piloted by his father, albeit Jim was born that very day his father died. Many years later, Kirk joins the Federation and eventually becomes captain of the USS Enterprise, which just so happens to be the same ship that First Officer Spock (Zachary Quinto) is on. Now Kirk can get his revenge on Nero because the Romulan is gunning for Spock by destroying the Vulcan homeworld. Can Nero be stopped, or will Spock and Kirk meet their untimely end? Just like the recurring theme of time travel, J. J. Abrams excels in the realm of the mysterious. He knows how to slowly reveal things to keep the audience in the dark long enough to build suspense. 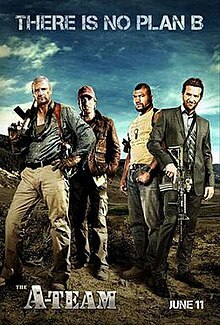 As a result, while Abrams is a great director for action, he is also a great science fiction director since many of the plots he has directed revolve around sci-fi mysteries. Of course, an important aspect to note here is that, while Abrams does the technical aspects well, he also develops characters well. After all, why would we care about a story if its players are flat and uninteresting? While the flashy presentation is what gets me in the theater, the characters that Abrams creates are what keep me coming back for more. Not to mention that he’s got a knack for keeping a dark storyline light in just the right spots to prevent it from being depressing. Home movies have been around for quite a while. 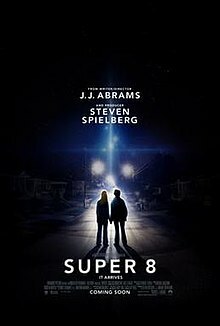 Even though most video footage shot today is from smartphones and hi-def digital camcorders, there’s a soft spot in all filmmaker’s hearts for the classic 8mm film known as “Super 8.” Joe Lamb (Joel Courtney) is in charge of makeup for a zombie movie he’s been making with his friends with the hope to enter it into a film contest. When they go out to get a great location shot, a train derails spectacularly, prompting the government to come in and cover it up. It turns out that there was something on that train which is now loose and causing trouble for the local authorities. Joe and his friends take it upon themselves to find out what had escaped, mainly because Alice Dainard (Elle Fanning), the girl he has a crush on, was taken by the “something” that escaped. There are no original ideas in Hollywood. We’ve covered this before. And yet, what is the difference between a remake and a reboot? Both have similar elements to their original source material, but a remake is a bit more true to the original than a reboot would be. A reboot usually takes a franchise in a bit of a different direction, either in style, plot, or both. When it comes down to it, if you’ve seen the original, you’ve probably seen the remake. However, if you’ve seen the original, the reboot may be a bit different than how you would remember it. Now, while not all remakes are bad, not all reboots are bad either. Although, I do question rebooting franchises within the same decade as their originals (I’m looking at you, The Incredible Hulk (2008) and The Amazing Spider-Man (2012)). Nevertheless, sometimes a reboot can be a good thing for a franchise, especially if the computer graphics have gotten to the point where some of the stories may be easier to convey than before. This week’s two films are the new beginnings of famous franchise series. 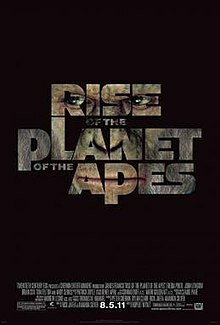 Planet of the Apes is one of the unique franchises that has both a remake (done in 2001 by Tim Burton) and a reboot. Everyone knows the original Planet of the Apes was told from the perspective of humans. However, what if the story was told from the perspective of the Apes? Sure, the original had a lot of human persecution and mistreatment, but how did the world come to that point? What if the persecution was merely revenge for an old grudge held against mankind by primates everywhere? Sometimes all it takes to shift from a remake into a reboot is a simple perspective change. Of course, part of the reason behind a reboot is to create sequels, of which Rise of the Planet of the Apes already has planned. Expect the second film in this reboot series to come out in 2014. We often take many things for granted. One is the advancements made in medicine. Certain drugs need to go through testing first before being approved for humans. Unfortunately, many animals are mistreated in this process, not the least of which are apes. When a chimpanzee known by the name of Caesar (Andy Serkis) shows a lot of promise for a brain-altering drug that could cure Alzheimer’s, the drug is quickly pushed forward without understanding all the side effects. Unfortunately, certain events occur that bring Caesar into some deplorable living conditions. While there, he uses his advanced brain power to start an uprising with the other captive apes. Of course, the escape of the apes is only the beginning as it soon becomes apparent that the drug that gave them intelligence has quite the opposite effect on humans. Films from the Star Trek universe are an interesting set of films. While there have been many series based off of the adventures of the USS Enterprise, the films only really covered the exploits of two crews: one under the command of Captain James T. Kirk (William Shatner) and one under the command of Captain Jean-Luc Picard (Patrick Stewart). The series of “Deep Space Nine,” “Voyager,” and “Enterprise” never saw the silver screen. Since it would be silly to go back and make films of these other series, the decision was made to reboot the original Star Trek with Captain Kirk’s crew. Of course, for it to be a true reboot, the timeline was altered somewhat from the canon of the TV series, which seemed to frustrate true Star Trek fans (or Trekkies), while giving everyone else an exciting introduction to a well-known science fiction franchise. 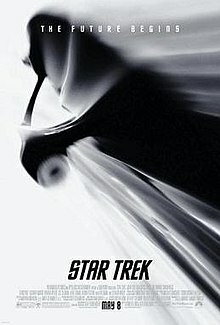 Star Trek (2009) follows the rise of James Tiberius Kirk (Chris Pine) to the position of Captain of the USS Enterprise. By all indications, Kirk is selfish and headstrong but reacts well under pressure. Of course, he has a stellar crew to back him up, including Dr. Leonard “Bones” McCoy (Karl Urban), First Officer Spock (Zachary Quinto), and Communications Officer Uhura (Zoe Saldana), among others. After all, when you’re up against a time-traveling Romulan who plans to eradicate the Vulcans and who also killed your father, a Captain needs all the help he can get. Filled with great space battles, hand-to-hand combat, iconic one-liners, and doomed red-shirt crewmates, Star Trek is a great action film. I, for one, welcomed the sequel of this reboot, Star Trek Into Darkness (2013) which came out a few weeks ago.